I have the pleasure of assisting folks with finding a home in our little corner of paradise. A majority of these purchasers intend to make the Valley their second home. However, over the past few years I have witnessed several clients and customers change their plans and then accelerate to make the Valley their full-time home. Spencer Kirk-Jackson and Karen McPhillips are an example of this growing trend. Their primary goals were to find a property that could support a yoga studio and glass blowing studio, some-day. After exploring the market, they purchased a home with a detached barn on Route 100 in Warren and began planning for a substantial update and remodel. Salt and Sand Studios is the result of their good planning and execution! 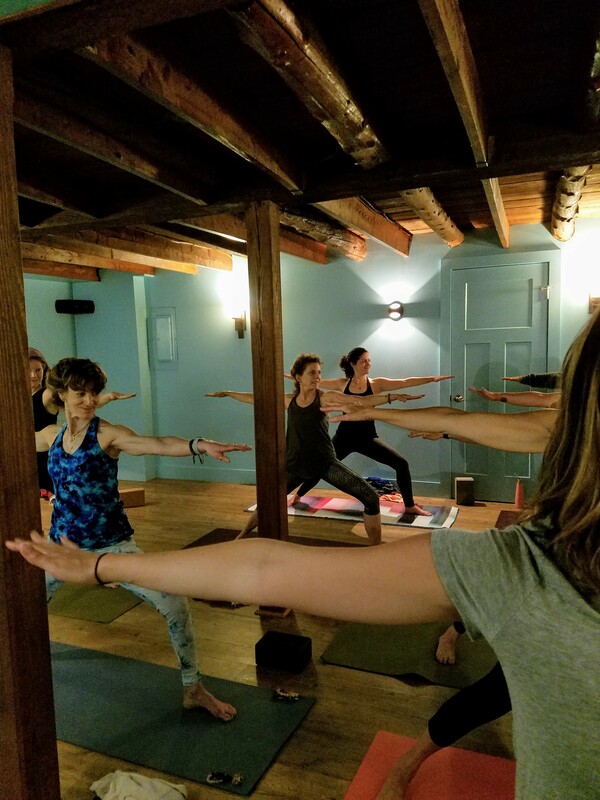 Karen offers a schedule of yoga classes in the Vinyasa flow style in a peaceful and calming space in the lower level of the main house. SPA Yoga™ is a practice she has brought not only to Warren, but also Barre and Waitsfield with Bolton Valley soon to follow. Karen still leads several yoga classes in the Boston area at SUTRA Studio, Lowell, MA and Stil Yoga, Dedham, MA while heading up marketing for an Austin-based software company. Spencer oversaw the remodel of the turn-of-the-century barn into a state-of-the-art glass blowing studio. His background and expertise include instruction in the glass blowing arts, glass fusing and lamp working. 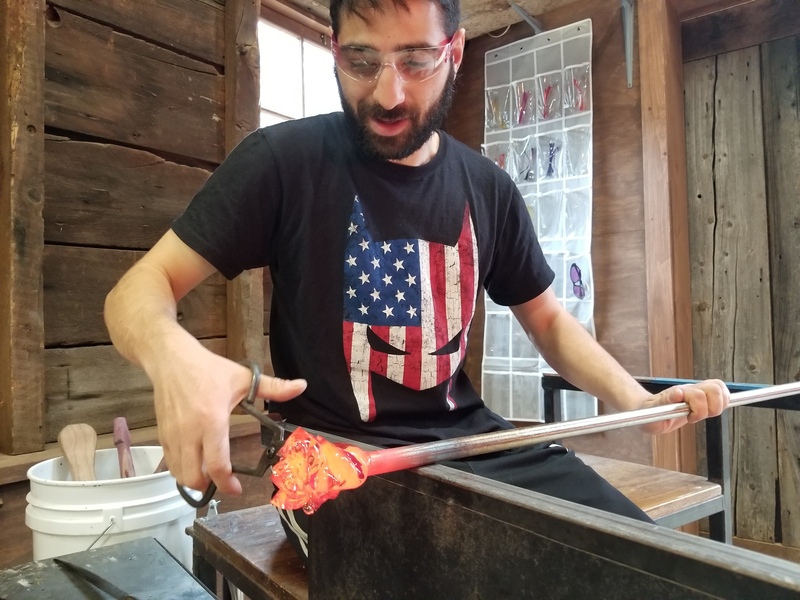 He offers several workshops and glass experiences including beginners’ glass blowing, teen camps, an after-school program, bead making and seasonal events. Salt & Sand Studios are a rich addition to our community, and I encourage exploring their offerings. They are located across from Warren Falls and even have an Airbnb style private loft for rent!